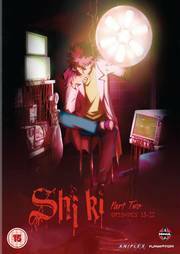 Shiki - Complete Series - S.A.V.E. Whatever you do, don't invite the new neighbours over! At a time when vampires have become ubiquitous in popular culture, from juvenile novels and live-action films to anime, Shiki stands out for its deeply unsettling tension and suspense. When citizens of a secluded village begin dying off in alarming numbers, the sole hospital's head doctor tries desperately to save his patients - but his efforts are in vain. Entire families are wiped out while others desert their homes. All hell breaks loose as the villagers discover their loved ones' corpses are rising from the grave with an insatiable thirst for human blood. Who is safe when the urge to kill in order to survive blurs the line between man and monster?